I was about twenty hours in. 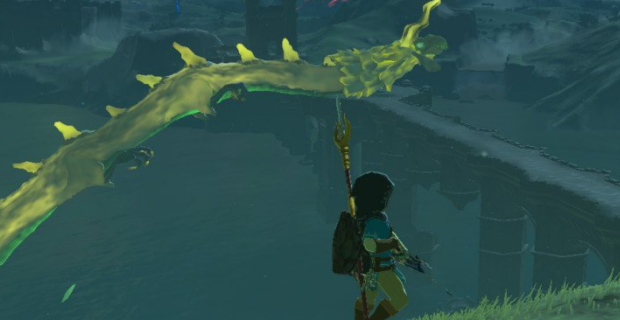 I had climbed up to the top of a mountain and found myself face-to-face with one of the games more fearsome foes – the Lynel, a bestial centaur that charges around, has insanely powerful weapons, bomb arrows and had a penchant for one-hit KO’s. I was faring fairly well – a few dodges here, a few perfect guards there, a couple of times on its back smacking it about Bayonetta-style, and it was a lot of fun. Then, as it was hitting about 40% health, a huge dragon started circling overhead – a long, sinewy, snakey Oriental-style dragon which decided not only was it interested in what was happening below, but took the time to shower our little snowy arena with balls of lightning that stunned on contact, making me drop my weapons. The weather was also starting to change a bit, as it started clouding over, lending the whole thing an ominous air only amplified somewhat with a gentle shift in music, which was both interesting and pleasant whilst also unsettling. It took another few minutes and a lot of sneaky chugging of potions, elixirs and food buffs before I finally had that Lynel down – he dropped me a gorgeous-looking sword and an awesome little bow. Not only that, I’d flung an arrow or two at the dragon – and I was rewarded with one of its scales as proof of my deeds, as it flew off into the air, and I watched it disappear into a vortex of clouds far above. Up to that point, Breath of the Wild was an impressive game but not entirely life-changing. Nintendo’s ending call to the Wii U and starting gun for the Switch is a game built on learning from the industry at large – with elements of Dark Souls, Portal, Half-Life 2, Skyrim, Assassin’s Creed, Kingdoms of Amalur, Dragon Age, The Witcher… the list is endless. It’s a patchwork quilt of a game – a gorgeous, sweeping, exciting landscape of thrills and spills but I was still looking for that spark, that moment when it all clicked for me. And twenty hours in, I’d found it. My game-changing moment. A fight of pressure, where every element I used was of things I had learned to this point. Guards, dodges, climbs, shoot the face, move, switch arrows for elemental effects, LT-Targeting. I’d gotten my Dark Souls moment. A point where every part of the combat system came together, everything worked and everything clicked. There was no going back now. It had got me. And there was no escape. It’s fair to say that despite the open-world Nintendo has crafted here, it can – and does – overwhelm. Traditionally, Nintendo would take your hand and lead you through things in a linear fashion, what you needed to know and learn and when. This is not that sort of Zelda. It’s very much like the NES original from back in 1986. It pats you on the shoulder, says “This is your playground” and lets you – with a suite of tools the game gives you mercifully quickly as part of its tutorial section – go about things as you want, learning things as you encounter them. It’s a brilliant nod to games like Grand Theft Auto, acknowledging that whilst many enjoy the story parts of the game – others just want to run around like they’ve got ants down their pants and play. And what a playground. Hyrule has never been so impressive or dangerous. Rolling fields, mountainous regions, lakes, rivers and vales. Villages and towns nestled in its landscape, insects under the grass waiting for you to swipe their cover away, birds to be shot down, bears to be rode on. From a brilliant cooking system to a wonderfully silly set of quests, from emotive cutscenes and missions to gentle (and sometimes not-so-subtle) wit, this is a world where systems interconnect. Even the Blood Moon, a system which refreshes all the enemies on a map I presume when a certain amount of the world bosses have been killed, worked as I was at a point where I was hunting them down willingly and running out of known locations – locations, incidentally, I was allowed to mark on my map – I chose a skull because I mean, duh, what other icon would you pick? – so I knew where I’d found them, so I didn’t have to keep memorising them. Chopping down trees, hunting deer, catching fish and hunting for anything that makes your life easier – this is the way of Breath of the Wild, an open-world RPG sure but one with a brilliant nod towards survival games too. 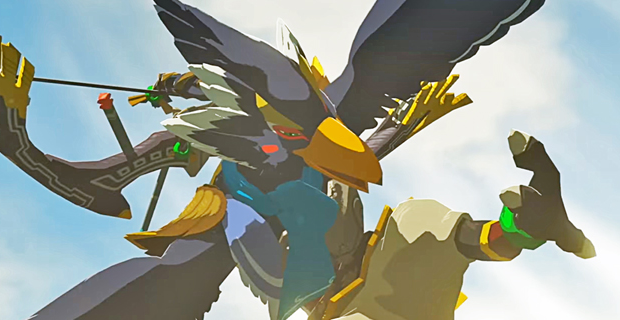 It’s bizarre to see so many elements clashing in a game, but it makes sense because Nintendo wove traditional Zelda tropes into a weave of new material, and it still fits like a glove. Link, woken after a hundred-year slumber, must recover his memories and join Princess Zelda in a final battle with Calamity Ganon. Or… well, not, because as I’m sure you may know, this game lets you – if you’ve taken your brave pills – head straight for Ganon once you’re off the plateau. How much – or little – of the story you get is up to you. The main dungeon is Hyrule Castle – and I’m about 50 hours in now, and believe me you need to have played this game a bit before you get wise to how much is hidden in this place. The four Divine Beasts are pseudo-dungeons, where you need to manipulate them around a bit to make your way through them. And then you have the Shrines, those Portal-esque puzzle chambers and challenge arenas that reward you with orbs, orbs you can spend upgrading Link’s basic stats of hearts and stamina. It’s a remarkable feat of game design. But – there’s always a but for me – it’s not perfect. I understand the weapon durability system – the game wants you to switch between weapons and try them all out, not just stick with one thing you kind of like. But I agree with the criticism that much of them are too brittle. There are “+” and “++” versions of Ancient Weapons, and a few upgrades, but I’d have liked an additional system where I could continue increasing the durability of my weapons with salvaged materials. It would have been nice, is what I’m saying, to have more say in the weapons system than just switching between them, and let us eventually specialise in our favourites by giving us a chance to invest in them. The game also has some tremendous difficulty spikes at times, and its open nature and lack of description can be to its detriment. This eases off after you grasp a few basics and open up a few shops, but the trip on the main missions from the Great Plateau to the old faithful Kakariko Village is a long, arduous one even by open world standards and to get there you’ll encounter many foes you’re absolutely not ready to take on just yet. It’s a steep, steep learning curve and far removed from the gentle easing-in that typified Nintendo’s old approach to this franchise. And if I’m allowed to be remarkably picky here – it’s my blog so I am – I’d also say that the game doesn’t make nearly enough use of its races as it could. The Zora, the Rito, the Gerudo and the Goron are the best they’ve ever been – genuinely fleshed out and vivid, charming and inviting. But after a while, they’re just distant elements rather than important places and factions to Link. I think I’d have liked more repeatable missions, or a faction/reputation system that would allow me to expand their stock of store inventory and the like. The same true of the town-building element; it’s a bit simplified, and I’d have preferred something – anything – just to give it a teensy bit more depth. That said however, Breath of the Wild is an astounding piece of work and the best evidence to date that the conflict inside Nintendo, pulling between the traditional and the modern-day, is finally seeing the modernists begin to win the fight. 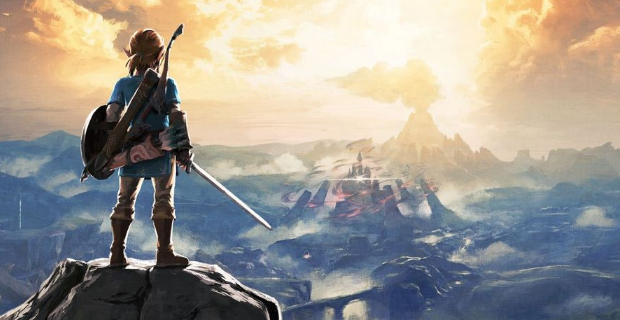 It’s a love-letter to an industry that left much of the Zelda series behind, but it’s still Nintendo enough with what it does and how it blends everything together that its unmistakably, uniquely Nintendo. And it’s bloody hard – and I like that, because I’m a Soulsite, but now I realise later this year this already challenging world with already challenging encounters is getting an actual Hard Mode. I mean, what the hell Nintendo? How does that work, exactly? It’s not always forgiving or always easy to love. But in an industry where Dark Souls is forgiven its excesses, I’m happy to overlook a few trifling issues (plus Dark Souls 2 had a weapon durability issue guys, you know, just reminding you of that). It’s the best game I’ve played in years – and perhaps Nintendo’s finest work since Super Mario Galaxy, a genuine declaration that the company is back and ready for a bust-up with the industry at large. When a game is this solid, this open, this broad and wide, you just stand back and marvel at it all. Nintendo didn’t just make its best launch game since Super Mario 64 – it’s a challenge to open-world games, even new ones, to do far more with their landscapes. It builds on many of the most successful, influential games of the last decade and says – yes, this can work together. Watch this! And on the Switch, I can undock it and take it down the doctors or to the Minor Injuries Unit. Which I did (I’m clumsy). Suffice to say, I had to wait an unusually long time – good job I hadn’t done something like cut off my arm, eh? – mostly because a couple nurses kept coming back in and wanted a go on Zelda. And they could pick up my file and just run around and mess around without really adversely affecting anything in my game. That’s kind of the brilliance. There’s no wrong way – just pick a direction and go for it. If this is the starting point of the Switch, the next year or two has a lot to live up to, because this is the best Zelda has been since Ocarina of Time. And the games industry is going to find Breath of the Wild referred to a lot in the coming years – for many, this is the new benchmark by which open-world RPGs will be judged (sorry Bethesda and CD Projekt). Still needs a few minor tweaks here and there, but even as it is, it’s remarkable. Welcome back, Nintendo. Now, can we PLEASE have a new/rebooted Eternal Darkness?